Aquatic's DriftBath system is a completely new approach to luxury hydrotherapy, offering builders and homeowners another option in addition to soaker, HotSoak, whirlpool and air bathtubs. Available on Aquatic Serenity and Serenity Studio models, DriftBath is ideal for the bather seeking simple and quiet hydrotherapy for floating away into restful relaxation. A completely new approach to hydrotherapy, DriftBath simulates the experience of sitting in a calm stream. It is available on Aquatic Serenity and Serenity Studio models. DriftBath is another example of Aquatic’s ongoing commitment to always provide trade professionals and consumers with unparalleled bathware, including a broad range of feature options so users can truly personalize the bathing experience. Aquatic – the world leader in innovative and inspired bathware – today released DriftBath, a completely new approach to luxury hydrotherapy that offers builders and homeowners another option in addition to soaker, HotSoak, whirlpool and air bathtubs. With the introduction of DriftBath, Aquatic is expanding the luxury hydrotherapy bathware category for the entire industry. DriftBath is the next incarnation of gentle and soothing bathing experiences within Aquatic’s popular Serenity series, which also includes soakers, HotSoaks and air baths. Available on Serenity and Serenity Studio models, DriftBath is ideal for the bather seeking simple and quiet hydrotherapy for floating away into restful relaxation. 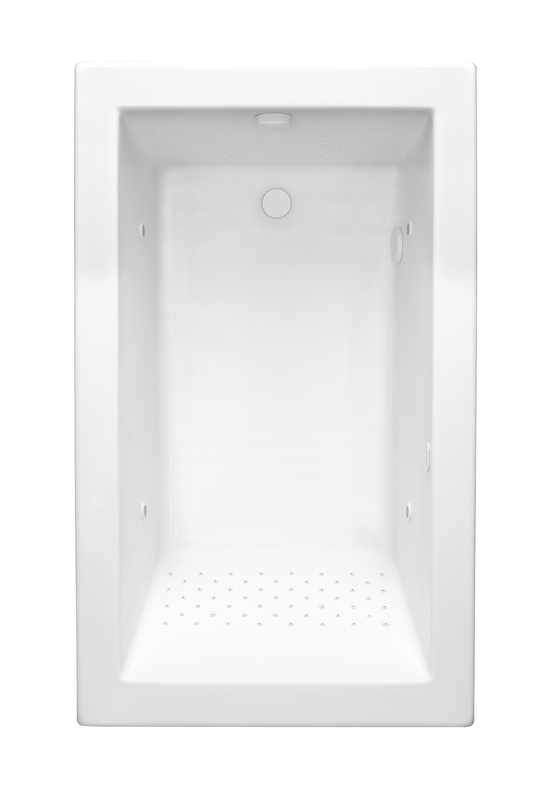 The new system features more than 70 water-only ports located in the backrest and foot areas of the bathing well. Each port individually releases a delicate ribbon of moving water that converges to create a blanket of water that flows in one direction. The result is a soft current that simulates the experience of sitting in a calm stream. “DriftBath is another example of Aquatic’s ongoing commitment to always provide distributors, builders, other trade professionals and consumers with unparalleled bathware including a broad range of feature options so a user can truly personalize the bathing experience to meet his or her unique needs,” said Stacy Zar, Aquatic’s Director of Marketing and New Product Development. In typical whirlpool and air bath systems, a mixture of air and water pushed into the bathing well creates generates a more active, invigorating or effervescent form of hydrotherapy. DriftBath eliminates air induction and minimizes the movement of the water for a quieter, more serene bath. To add to the DriftBath experience, an integrated pump and motor unit captures the heat energy it generates and infuses it into the water. 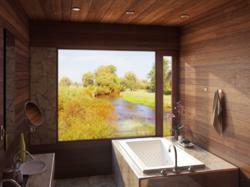 This energy-efficient feature eliminates the need for a separate, in-line heater to maintain the bath’s warmth. Additionally water traveling around the motor mutes its operating sound and vibration. Electronic, one-touch keypad for easily controlling power and adjusting the tub’s lighting. Aquatic is the world leader in bathware, offering the broadest and most inspiring selection of tubs, showers and accessories. The company’s Hydrotherapy, Everyday and Accessible lines include more than 300 superbly designed and engineered products for virtually every need. Based in Anaheim, California, Aquatic serves distributors, builders, architects, designers and consumers through a nationwide network of state-of-the-art facilities for manufacturing, distribution and support. For more information, visit http://www.aquaticbath.com. Click here to learn more about the DriftBath hydrotherapy experience. DriftBath features 70-plus, water-only ports in the backrest and foot areas. Each port releases a delicate ribbon of moving water converging to create a blanket of water that flows in one direction.